If your van is ready for the scrapyard in the sky, and you are searching online for potential salvage firms with the term ‘I want to sell my van for scrap’, then this article will help. There’s no doubt that having to trawl around the websites of scrapyards can be a time consuming undertaking, and you’re probably too busy to do so. So, regardless of where you are based in the UK, the Scrap a Van team will make the process simple and offer the best price when it comes to scrapping your unwanted van. One reason for this is they have a network of agents around the country with years of experience and are keen to take your van, whether it has reached the end of its life, is an MOT failure or is simply too old to repair. ‘Sell my van for scrap’ – call Scrap A Van today on 01204 323106. It’s also important to appreciate that Scrap A Van guarantee their scrap van prices, so there’s no haggling when their representative turns up to pick up your van. Also, the price being quoted includes free van collection and there are no hidden fees that may take you by surprise. One reason why Scrap A Van offers the best scrap van prices is that there are buyers waiting in the UK and overseas for the spare parts, such as the gearbox and engine from your van. The process to find out how much your scrap van is worth and then arranging a pickup time is quick and straightforward. And, if you are wondering, the process for scrapping a van is no different to the process for the scrapping of cars. It’s important that when it comes to scrapping your van that you give the salvage firm the make and model of your van and its type, for example, whether it’s a temperature controlled panel van. If you use the online form on Scrap A Van for finding the best scrap price, then you’ll need to enter the registration number and your postcode to find out how much your van is worth. It’s also important to highlight whether there are any extras fitted to the van, for example, alloy wheels, which may add to the price being offered. Essentially, if you are searching online with the term ‘I want to sell my van for scrap’ that you should contact the experts at Scrap A Van who will offer the best prices and the best levels of customer service. Call the team today on (01204) 323106. For anyone looking for tips on how to ‘scrap my van’, then this article from Scrap A Van will help. 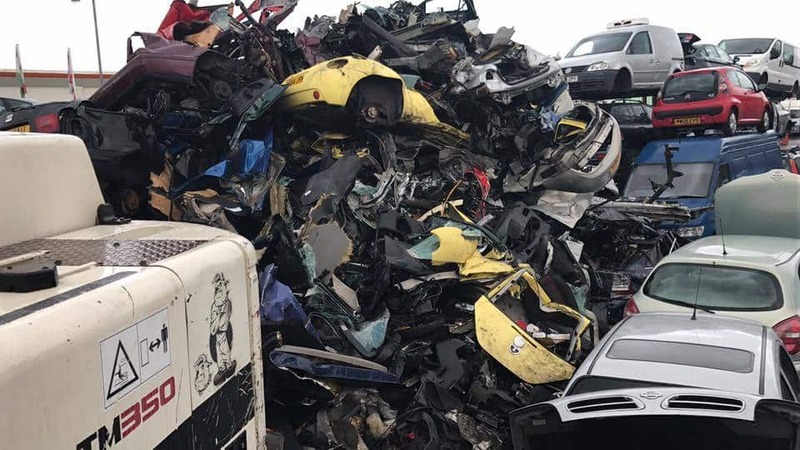 You’re probably looking for the best price for your scrap vehicle and you should deal with a firm of experts who can pick up your unwanted vehicle at a time to suit you. Earn the best price when you ‘scrap my van’ with Scrap A Van. Call 01204 323106. When searching for a van salvage firm, you should choose one that offers free collection and will pay the best price and that this money is paid directly into your bank account. This last point is an important one because salvage firms are no longer able to pay cash when picking up your van for scrapping and they must pay by bank transfer or business cheque. It’s here that the Scrap A Van team must highlight that you should be cautious when dealing with any van salvage firm offering cash for picking up your van since you will be liable for what happens to it afterwards. One reason for this is that you’ll need to use a van scrapping firm that is an authorised treatment facility, which means they are being monitored by the Environment Agency. When doing so, you will be reassured that your van is being depolluted effectively so harmful oils and chemicals do not damage our environment. The battery will also be removed and recycled and any parts that can be sold on will be removed for buyers. Getting a scrap van quote is easy since there’s an online quoting tool, so you simply need to enter your van’s registration, your postcode and telephone number for a free no obligation quote. If you are shopping around to find the best scrap van price from salvage firms then it’s always worthwhile calling us to see how much we will offer for your unwanted van for scrap. The team will also deal with the paperwork and when your van is picked up, you will need proof of identity, the ownership papers and our agent will arrange for payment directly into your bank account. Once your van has been scrapped, then we will inform DVLA that you’ve disposed of your vehicle legally and you will be issued with a certificate of destruction. Scrap A Van will buy all types of vans, regardless of their condition, such as Ford Transits, Mercedes Sprinters and Volkswagen Transporter vans. If you want to know more about how you can ‘scrap my van’, then it’s to contact the Scrap A Van team on (01204) 323106. When it comes to getting advice to scrap your van for cash, then it will pay to speak with the Scrap A Van team. With years of experience in the van salvage industry, the team offer the best prices for unwanted vans and can arrange a free collection too. This brings us to the first tip. Need tips when you scrap your van for cash? Call Scrap A Van on 01204 323106. When it comes to scrapping your van for cash, you can find out how much it’s worth by using the Scrap A Van online valuation tool. This is a quick and easy way to find out by entering a few details to discover what your van is worth. Getting paid for scrapping your van means you need to be aware that the law on receiving cash has changed. Essentially, you will not be handed cash and instead the agent will pay directly into your bank account using a bank transfer or a business cheque. You need to be aware that any van scrapping firm offering cash for your unwanted van is breaking the law. Also, you will be liable for anything that happens after you hand your van over and you may end up being fined should your van be dumped on a verge. That’s because you need to use a salvage firm that’s an authorised treatment facility to ensure that your van is disposed of legally and safely, so it is properly depolluted so the oils and battery are removed. When contacting a van scrapping firm you need to be honest when you tell them about the state of your van. If it is old with a high mileage, then say so because the scrapper is offering a price from the description you give. If they turn up and the van is not as described, then this will affect the amount being paid. It’s also worthwhile mentioning if the van has any extra features such as alloy wheels or is a refrigerated van. There’s no doubt that when it comes to scrapping a van, it can be a time consuming process when sourcing the best price from a van scrapping firm and then organising a pickup at a time to suit you. It’s also important that the pickup is free and that the scrapping firm has no hidden fees or charges when they take your van off your hands. For those firms in London or who drive into the centre of the capital on a regular basis, then you will be aware that the rules have changed and for older polluting vehicles, which tend to be old vans, then you will be paying more for the privilege. If you or your business is affected by Ulez – the ultra low emission zone in London – then you need to contact Scrap A Van to arrange a price for your unwanted vehicle. For anybody else who is searching for tips on how to scrap their van for cash, then you need to contact the Scrap A Van team on (01204) 323106. Need to scrap your van and you are searching online for ‘Where to scrap my van?’ then contact the Scrap A Van team because they can help you. That’s certainly the case if you want the best price for your unwanted van and the friendly team can organise a free collection at a time to suit you. Regardless of your van’s condition, or the reason why you want to scrap it, Scrap A Van has a network of agents around the country to help you receive instant payment when getting rid of your van. Scrapping your van shouldn’t be difficult – use Scrap A Van to find out where and how. The Scrap A Van team are buying different van models every week and will break down those vans for spare parts which helps explain why they tend to offer the most competitive prices for unwanted vans. These parts are used by others to repair their vans and there’s also strong demand from overseas buyers for these parts and used van engines. If you are currently searching various sites to find out how much your van is worth as scrap, then it’s worth your time contacting the Scrap A Van team today to see how much money you would get for scrapping your van. Also, the van can be picked up quickly at a time to suit you for scrapping so you don’t have to wait around for the agent’s vehicle to turn up. Once you’ve agreed on the price for scrapping your unwanted van, then you’ll need to organise your paperwork, such as the V5 or log book which is proof you are the legal owner of the van. It’s also important that there is clear access to your scrap van, particularly if you’ve left it in a yard or near other vehicles for a long time while you get round to scrapping it! Also, don’t forget to clear your scrap van out because it’s unlikely that any forgotten items will be returned to you. There’s no time like the present if you are looking to scrap an unwanted vehicle, so whether your van is an accident write-off, or it’s too expensive to repair or you simply want to get a decent scrap price and buy a new model, then the team will be able to help you out. For everything you need to know about ‘where to scrap my van’, then you need to contact the Scrap A Van team on (01204) 323106. London’s ultra low emission zone (Ulez) has the aim of improving air quality but it means that the owners of older, polluting vehicles will have to pay more to drive into the centre of the capital because of the Ulez van charge. In addition to the congestion charge, for those vans that do not meet the Euro6 criteria (or Euro4 if your van has a petrol engine), then there’s an additional fee, so you’ll need to fork out £24 every time you enter the zone. If you don’t do this, then there’s the prospect of a £160 a day find being levied, which means a trip into London for a small business can be very expensive indeed. To avoid the financial pain of receiving a fine, you can check whether your van needs to pay the Ulez charge on the Transport for London website. There’s no doubt that lots of small firms, and even larger concerns, will find the extra costs too expensive and they’ll be looking to invest in a newer, less polluting vehicle. To avoid the Ulez van charge by calling Scrap A Van to help scrap your vehicle. If you and your business want to invest in a new vehicle and need to scrap your current van – or fleet of vans – then it’s time to contact Scrap a Van. With a network of reputable and friendly agents operating in London, you will be reassured that Scrap a Van will be paying the best scrap van prices and will pick-up your vehicle at a time to suit you. Since many business owners may have been too busy to appreciate the impact of Ulez and the fact they need less polluting vehicles may come as an unwanted surprise. 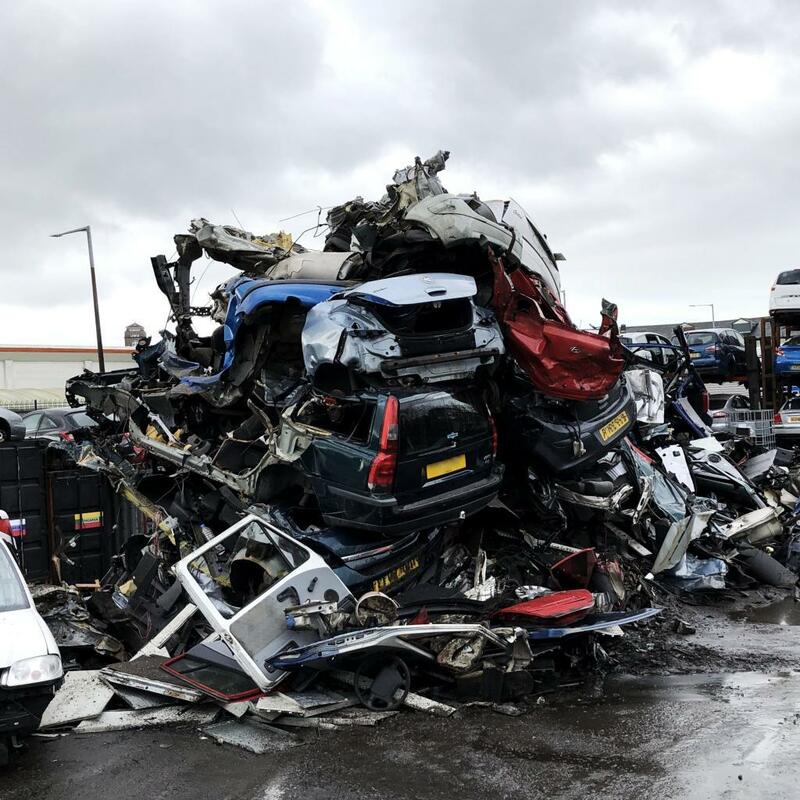 If you need to act quickly and want access to the best scrap van prices – and have a professional remove your unwanted vehicles as quickly as possible – then Scrap a Van are capable of doing this. It also brings peace of mind that you will be dealing with a reputable firm that is monitored by the Environment Agency so your old van will be depolluted properly so no harmful oils or fluids will damage our environment. In addition, most of the van will then be recycled, including the engine which may be sent overseas to buyers wanting quality used engines. The plastics, glass and tyres will also be recycled and may be used for other purposes, for example, shredding the tyres will make protective playground surfaces. For peace of mind and to get access to the best scrap van prices in London, then you need to speak with the experts at Scrap a Van who will offer the best deal and pick up your van. To avoid the Ulez van charge, contact the Scrap a Van team today to get the best scrap van prices in London on (01204) 323106. If you want to ‘scrap my van Bolton’ and want to deal with a professional firm when doing so, then you need to contact Scrap A Van today on 01204 323106. The friendly team are experts in dismantling vans and collecting unwanted scrap vehicles from Bolton on a regular basis – we can help pick up your scrap van and pay the best price for doing so. We will also come at a time that suits you so you are not inconvenienced when scrapping your vehicle and you will always be dealing with a professional van dismantling service. One reason why we pay the best price is that there is a huge demand for the spare parts and engine from your scrap vehicle and we need to meet this demand. If you want to ‘scrap my van Bolton’ then deal with the experts at Scrap A Van. That’s why we pay the best scrap price for vans in Bolton, regardless of their condition. We deal with hundreds of vans every week and we are sending containers of van parts and engines to overseas buyers, so we can offer more than any other van scrap yard. We also pick up vans from around the country and can still offer great prices when we offer this service. In addition to reusing spare parts and engines, the experts at Scrap A Van will also recycle as much of the metal and plastic from your vehicle as is possible. 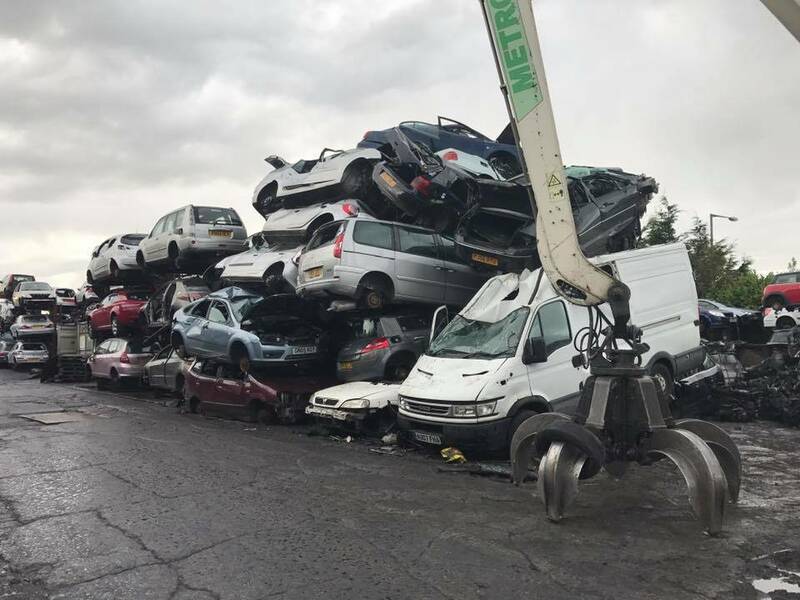 When searching online to find a van scrap yard near me, you may be tempted by what appears to be a great price for your van but you need to be aware that only an authorised treatment facility can legally dispose of your unwanted vehicle. That’s because these facilities are monitored by the Environment Agency to ensure that they meet environmental and health laws and regulations when disposing of scrap vehicles. We are an authorised treatment facility and proud of the work we do in ensuring that scrap vans do not damage our environment and as much of the van is recycled as possible. So, regardless of whether your van is an MOT failure, is a non-runner or it’s too expensive to repair, we are interested in taking it off your hands and paying you when we do so. Also, there is no point putting up with an unreliable old van reaching the end of its life when you could cash in and use the price we pay to buy yourself a newer, more comfortable and more efficient van instead. For more help and information about how to scrap my van Bolton and use the experts at Scrap A Van, then contact the team today on (01204) 323106 or complete the online form. 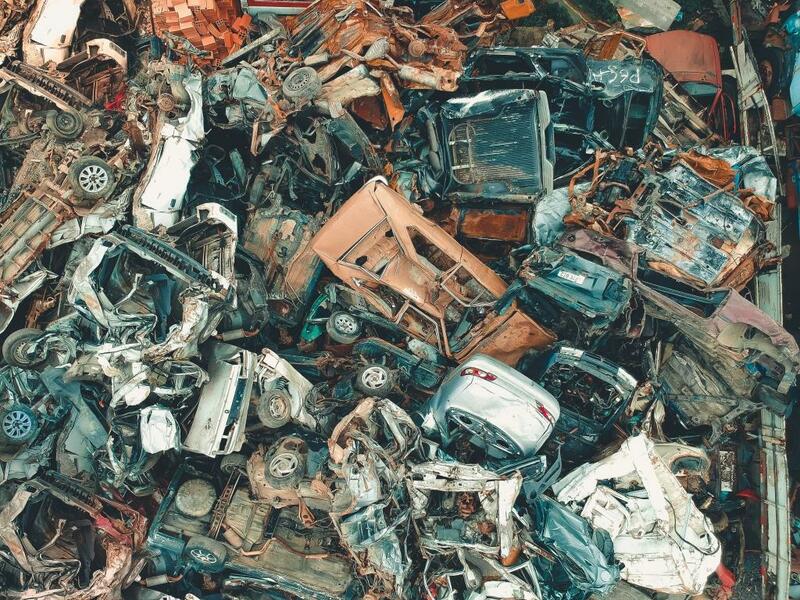 With the new ultra low emission zone (Ulez) scheme getting closer, it launches on 8 April, it may be time to consider earning the best scrap van prices when you scrap your unwanted van. Whether you are driving a Ford Transit, a Mercedes Sprinter or a Vauxhall Vivaro, then you can get the best price when scrapping your van with the experts at Scrap a Van. 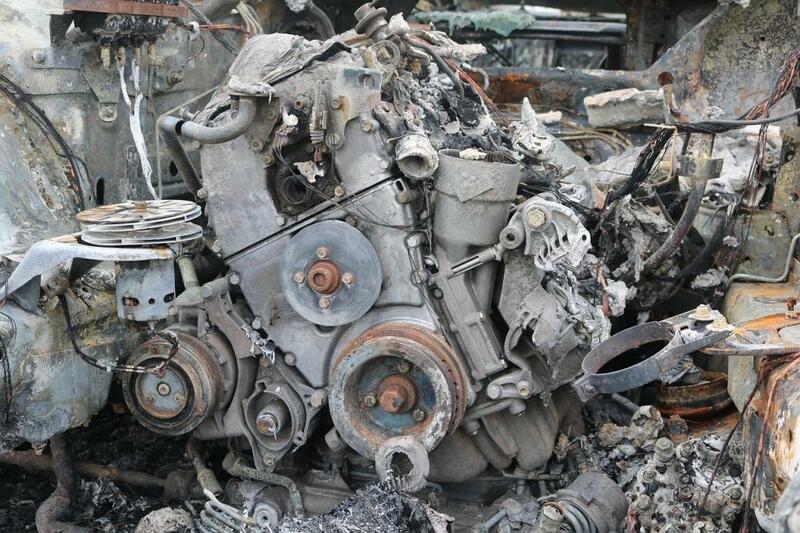 The friendly team are able to pay the best prices for scrapping your unwanted vehicle because they supply a number of buyers overseas who are keen to buy unwanted engines from British scrap vans. In addition, the Scrap a Van team will pick-up your van at a time to suit you and ensure that as much of the vehicle is recycled and it is depolluted properly. Earn the best scrap van prices in London – call Scrap A Van on 01204 323106. For those small firms or van owners who need to upgrade to a Euro6 compliant vehicle, then it’s important that you act to get the best price when scrapping your diesel van and invest in a new one. If you need to find out for sure whether your old diesel van complies, then there’s a helpful Ulez tool on the Transport for London website and you just need the vehicle registration to find out. Also, while Transport for London has a scrappage scheme in place for small business owners, the money is geared towards those firms entering the Ulez zone on a regular basis. It may also be tempting to accept a cash offer from someone wanting to buy your unwanted van but you need to appreciate that you will still be held responsible for whatever happens to your vehicle because it’s illegal to offer cash when buying a scrap van or car. Instead, whoever is buying your scrap van needs to pay directly into a bank account, rather than offering cash. Also, should the person offering cash take your van and then rack up speeding and parking tickets, then you will be held responsible for these. To avoid this hassle and get the best scrap price for your van, you need to speak with professionals who will quickly and efficiently pick up your van, regardless of its condition, and pay you instantly when doing so. If you and your business want to get the best scrap van price possible, then contact the friendly team at Scrap a Van on (01204) 323106. If your trusty van has come to the end of its working life and you want to ‘scrap my van near me’, then you need to give the Scrap A Van team a call on 01204 323106. Not only have they got lots of experience in scrapping vans for cash, but they also specialise in breaking a van for its parts which means they offer competitive prices. So, whether you have a Mercedes Sprinter that no longer runs or a Volkswagen Transporter that doesn’t transport anything, then the Scrap A Van team will offer cash to take it off your hands. The Scrap A Van team offer a network to help those wanting to ‘scrap my van near me’. Call us on 01204 323106. The process for scrapping a van is straightforward and after the team offers you the best scrap price for your unwanted van, then you’ll need to follow these steps. You will need to prove you are the owner of the vehicle, so the V5 or logbook will be required. The Scrap A Van team will offer a price on the basis of your description but an assessment of the scrap vehicle will be carried out before money is transferred to your bank account. You could drop your van at an authorised treatment facility – another name for a licensed scrapyard – to earn the best price or you could arrange for your van to be picked up at a time that is suitable to you. The process to get a valuation is straightforward and the team will buy any van in any condition if you contact them on (01204) 323106. By contacting the Scrap A Van team, you will not be wasting time trawling around various scrapyards in a bid to find the best price since you probably have lots of other things you would prefer to be doing. The team will remove any parts that can be recycled for use in repairing other vans and the harmful oils and fluids will be removed safely. There’s a big demand for van engines and the Scrap A Van team sends these parts to buyers in the UK and overseas, which is another reason why they pay the best prices. The other big reason is that your van may not be cost-effective to repair to put back on the road, so it’s wiser to cut your losses and earn money from scrapping it. For more help and information about how to ‘scrap my van near me’ and earn the best scrapping price when doing so, then you need to contact the Scrap A Van team today on (01204) 323106. If you are a small business owner needing to travel into the centre of the capital regularly with an older van, then it may become an expensive undertaking and you should contact Scrap A Van if you want to scrap a van safely and legally. That’s because the ultra low emission zone (Ulez) takes effect from 8 April and you will need to pay extra if your van doesn’t meet the requirements of the scheme which is there to help improve air quality. So, in addition to paying the congestion charge, for those driving into the centre of London will also need to pay an extra fee because your old diesel van may not comply with the Euro6 emissions standard. In total, small firms will need to pay £24 a day and if they don’t then they face a £160 penalty. You can check online as to whether your vehicle will need to pay the Ulez charge at the Transport for London site. Scrap a van and get the best scrap price. Call us on 01204 323106. Not every small business will be willing to pay the extra money and if your van does not comply with the new criteria, then it’s time to consider scrapping it and earn the best scrap price when doing so. The scrap money you earn may be more than you expect and will help your firm’s investment in a new or newer diesel van or electric vehicle. If you want to scrap your van, then you need to contact the friendly team at Scrap a Van who can arrange for an agent to pick up your unwanted vehicle at a time that is convenient to you. They will also pay the money straight into your account when doing so. In addition, Scrap a Van will ensure that your vehicle will be recycled effectively and be depolluted so there are no harmful fluids harming our environment. On top of this, they will also recycle the engine wherever possible as these engines are needed to help meet demand from overseas buyers who are keen buyers of them. For more help and information about scrapping a van for the best scrap price and to avoid the Ulez charge, then it is time to contact the friendly team at Scrap a Van on (01204) 388488. Scrap A Van: Will a scrap car network take my van? If you want to scrap your van and you are searching online using the term ‘Will a scrap car network take my van?‘, then the answer is ‘Yes’, if you contact Scrap A Van. That’s because we have lots of experience in scrapping unwanted vans and trucks and we have a network of agents willing to pick up scrap vans and cars and we also pay the best prices. The money will be paid instantly into your bank account when our agent takes your scrap van off your hands. This scrap collection is free and carried out nationwide, so we can respond to anybody looking to scrap a vehicle wherever they are. 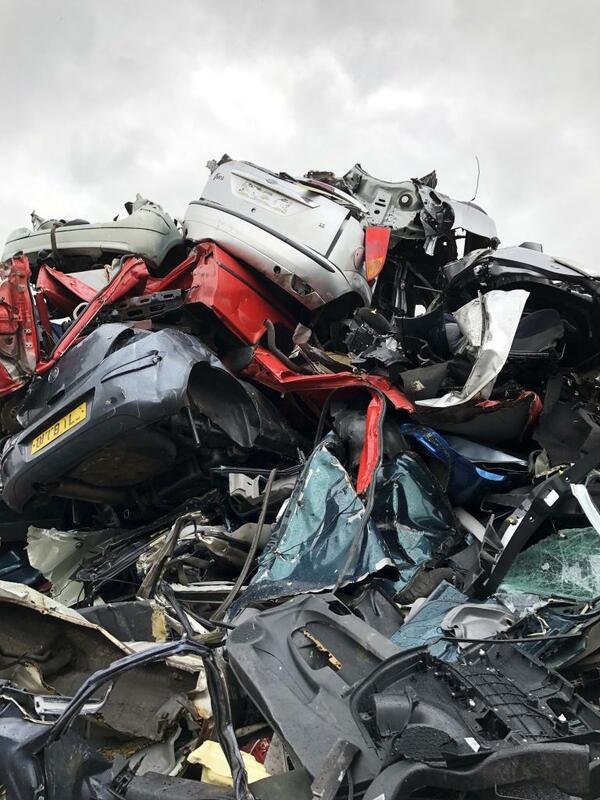 It’s also important that you get the best price for your unwanted vehicle which is why the Scrap A Van team offer the best prices for scrap vans. The location of your unwanted van. Put simply, the heavier your scrap van is, then the more you will earn since the price is usually calculated on its weight. Also, the location is important because the further we or an agent has to travel to pick up your scrap vehicle means this takes more time and more fuel, which will affect the price being quoted. You can always drop off your scrap van at an authorised treatment facility which may even earn a slightly higher price. For anyone looking to scrap their van, it’s important that you use a scrapyard that is an authorised treatment facility, which means it is monitored by the Environment Agency to comply with the various laws and regulations. Failure to do so may lead to you incurring a fine and a criminal record should your van be used after you hand it over for illegal means. Once your van enters the Scrap A Van system, we will endeavour to remove the parts that can be recycled, so others can repair their vans of a similar make and model. Also, some parts such as the engine may be sent overseas where buyers are keen to take recycled van parts from the UK. After that, the authorised treatment facility will then diligently remove the harmful fluids and oils from your van to ensure they do not harm our environment. What remains is then recycled for further use. Essentially, if you want to know will a scrap car network take your van, then the answer is ‘Yes!’ but for the best prices and prompt collection, you should speak with a friendly Scrap A Van team first. Copyright © 2018 Scrap a Van - The Scrappers Ltd. All rights reserved.